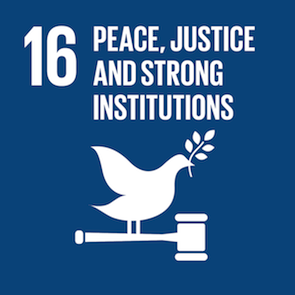 Among other things, the sixteenth Sustainable Development Goal aims to reduce all forms of human exploitation, as well as ensuring the inclusivity and representativeness of decision-making at all levels of society. Despite having successfully emerged from the Civil War which plagued the country for a decade between 1996 to 2006, Nepal still struggles with human security issues like human trafficking. Gender quotas have improved the participation of women in politics, but barriers still remain to women having an input in decision-making at other levels of society, including in the business sector. Disabled people, especially women, are often shunned and excluded from society all together. By empowering disadvantaged and disabled women, Seven Women directly contributes to making Nepal a more peaceful, just and inclusive society. Instead of being excluded from society, Seven Women ensures that marginalised women are provided with the education, skills and employment opportunities which they need to fully participate. Importantly, we also ensure that the women employed by Seven Women have an active say in the running of our sustainable enterprise. Moreover, our gender awareness classes ensure that women are educated about the issues that they face in Nepal. In turn, educated and financially empowered women are far less vulnerable to exploitative practices like human trafficking.